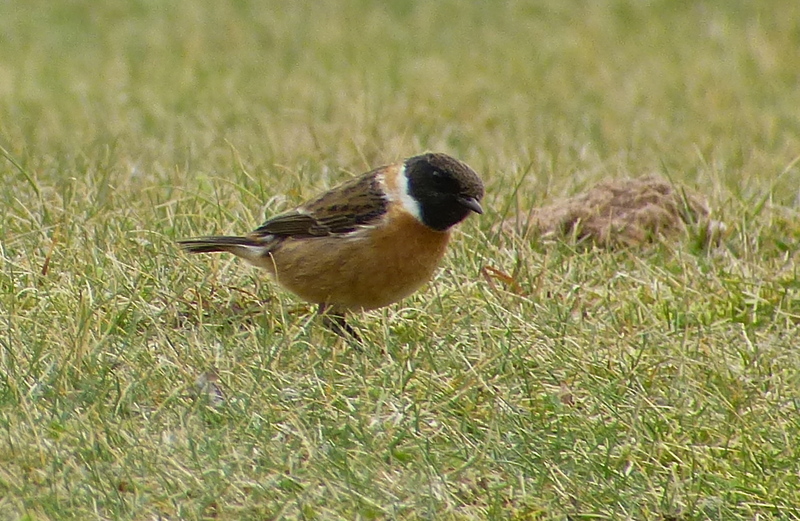 The two male Stonechats were still feeding on the grassy area immediately to the south of Ainsdale beach entrance again today – when they’re chasing after midges or whatever here they look weirdly leggy. Harder to approach too, as if they know they should be perching up being all photogenic on a suitable perch. 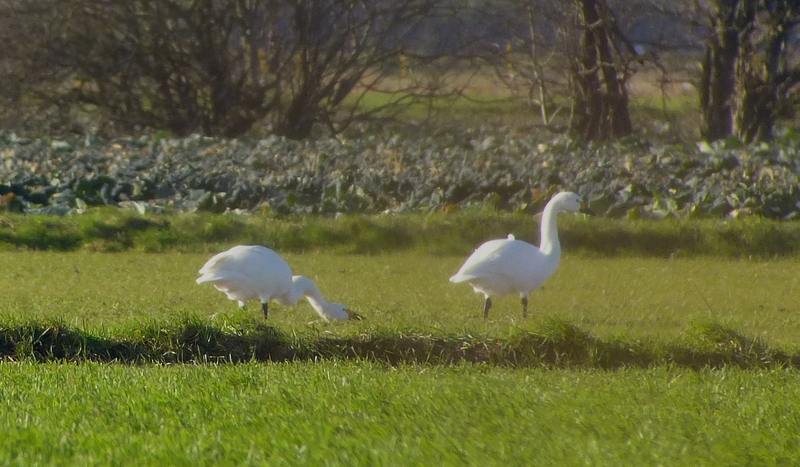 Peregrine, diminishing numbers of winter wildfowl and waders, egrets etc at Marshside too today, with flowering Common Whitlow Grass, and singing Skylarks at Weld Road. 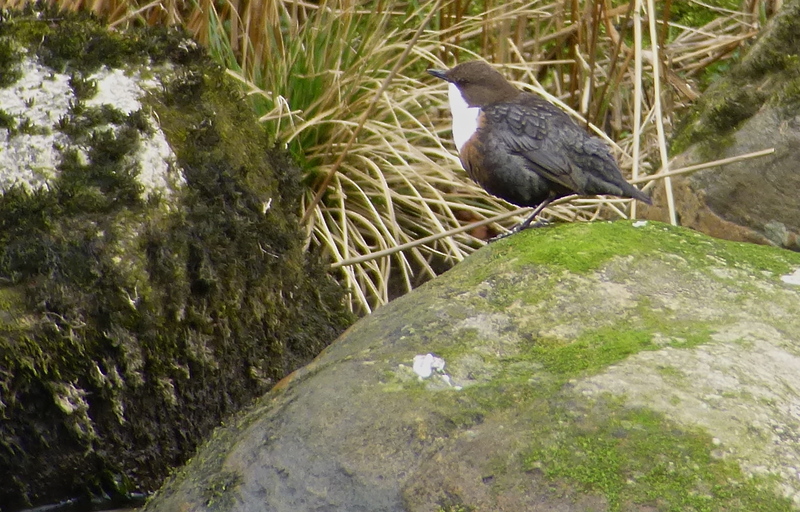 Very nice, as were the hordes of singing Dippers on the River Don in the middle of Aberdeen on Wednesday. Grey Wagtails too, Roe Deer and even an Otter that was hunting close to us for 45 minutes or so, bouncing through the fast flowing water, chasing and capturing a number of fish…crunch, crunch, crunch. All very impressive for such a relatively urban setting, as were the frequent Goosander and Goldeneye. Red Kite on the way north near Dunblane in the early morning light as well. 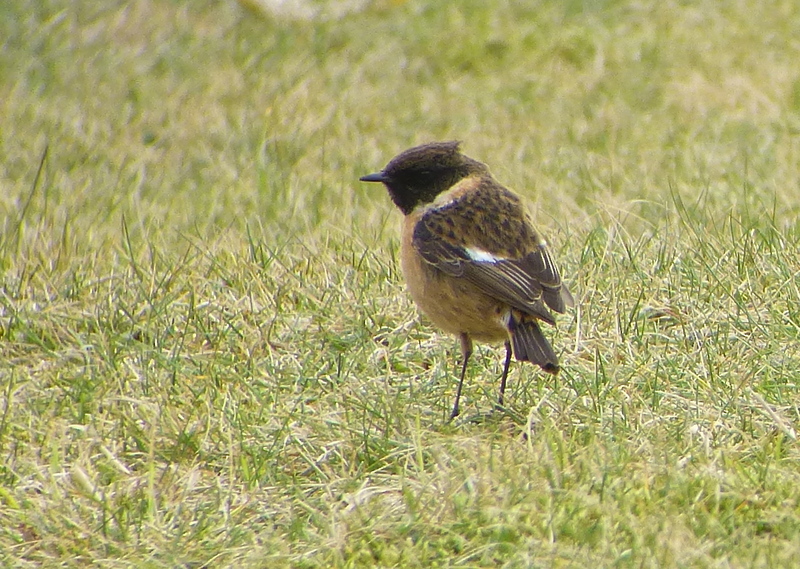 Less impressive was the absence of the Harlequin Duck which threw a wobbler five minutes before Chris Tynan, Stephen Menzie and I arrived, and promptly disappeared for the rest of the day. Some days you get the bear, other days the bear gets you…and boy, did the bear get us on Wednesday! Apologies to Dave Hardaker who sent me this cracking picture of the Snow Bunting that was hanging around Hall Road last month. I only picked up the email last night due to my obvious ineptitude when it comes to any form of technology, old or new. I was also outfoxed by the bird twice, which was annoying. “Juv. 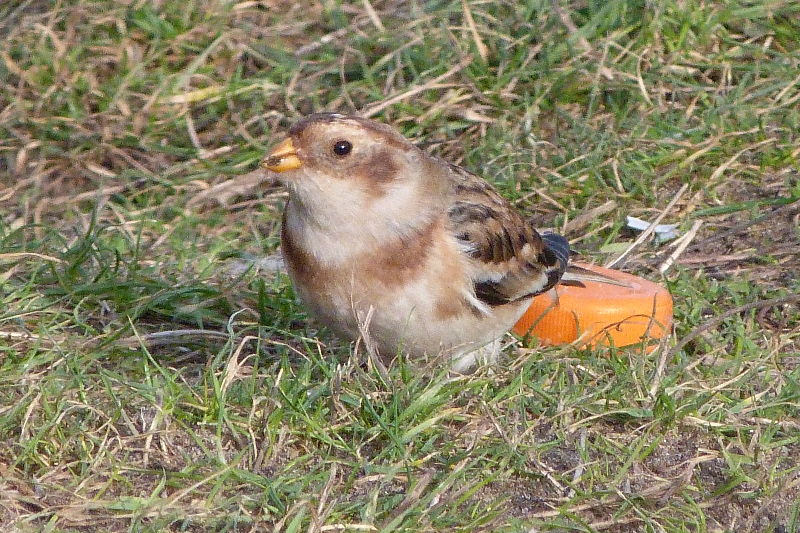 Snow Bunting, probably female, Burbo Bank car park Crosby, this morning (14.1.15). Very confiding on grassy verge on the right before the 5 bar metal gate that leads on to the revetment”, Dave explained. “Photographed from the car”. Tody-tastic all-inclusive fortnight with Mrs D in Cuba. We stayed in the Blau Costa Verde in the Playa Pesquero area – a touristopolis made up of three mega-hotels in the Holguin area, with to die for beaches, surrounded by scrub, secondary growth woods and farmland…just the job for a dawn stroll. I’ve finally got round to starting to blog some stuff about the place, hope it’s useful. 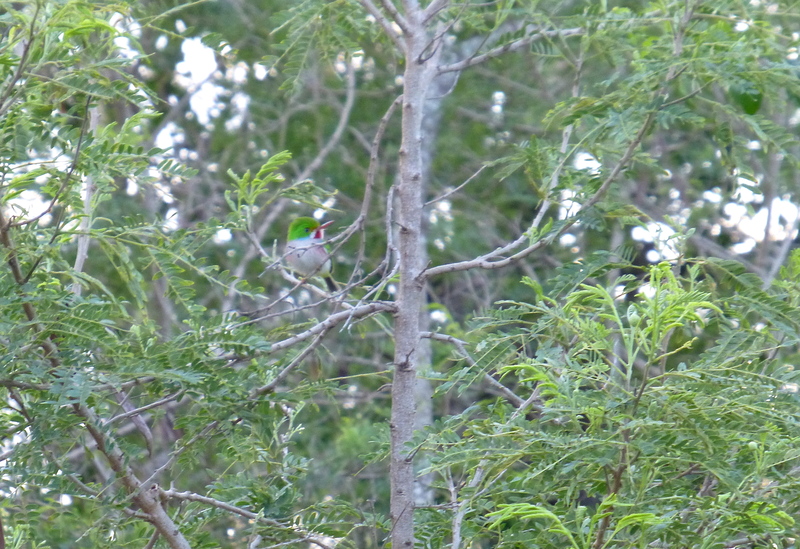 You can read the first entry at birdblogcuba, more to follow. Yes, yes, we’ve been away (more on that later), but what’s about? What have we missed this past fortnight? Are the Avocets back yet? Let me know via the comments thingy please. Enigmatic and extremely compulsive – Petalwort is at its best on the coast at the moment. 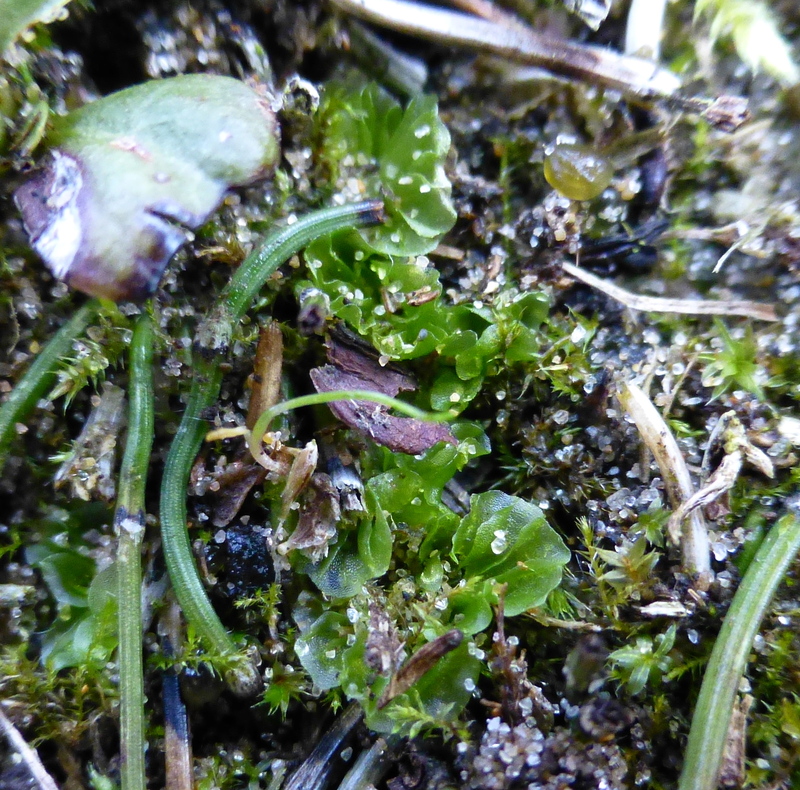 Just a millimetre or so across and as much a dune specialist as Natterjack Toad and Sand Lizard, but far harder to find, I came across a colony of at least 14 “plants” recently. Only way to find this critter is get on your hands and knees and sacrifice all human dignity, but once you get your eye in, it ain’t too bad. Look for it in areas of short, cropped vegetation, and along trails with open areas in the sward. 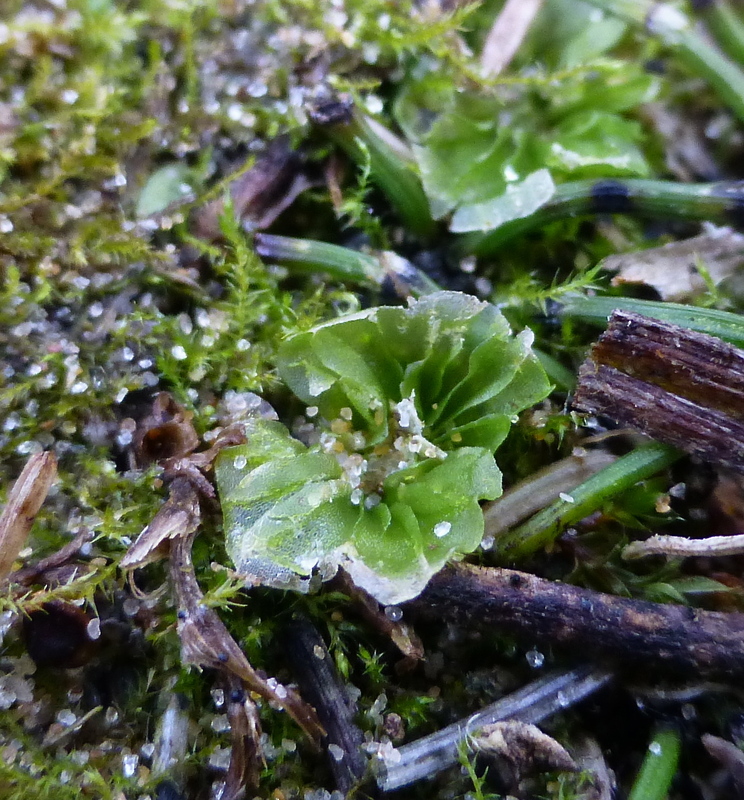 Once you start looking, you’re hooked…no wonder the Victorians piled in here liverwort and moss hunting and unfortunately managed to extirpate several species in a remarkably short period of time. Didn’t feel too bad out on Churchtown Moss this morning – I’d picked up Bazzo earlier and we wandered out to check the tree nursery areas, which were quiet apart from a Fieldfare and Redwing or two. 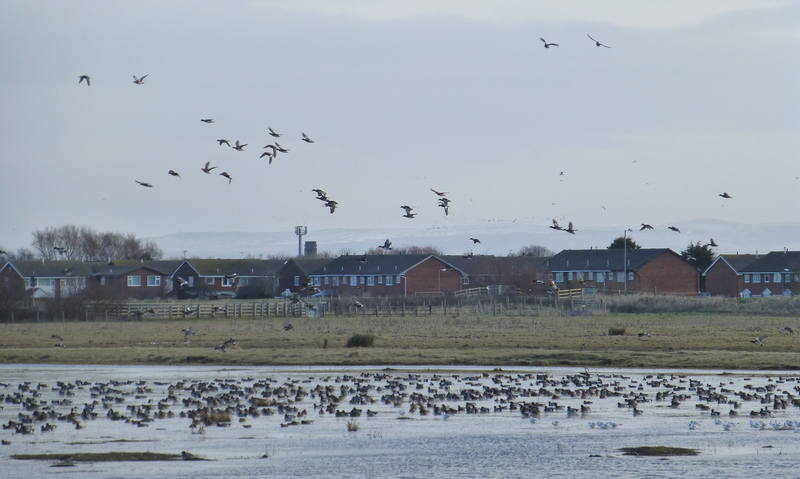 More exposed at Marshside, with good numbers of wildfowl being spooked by a bulky female Sprawk from Nels. Only a small gull roost and a few Lapwing, Golden Plover, one Ruff, Curlews and Redshanks etc. Skylarks out on Rainford’s Track. 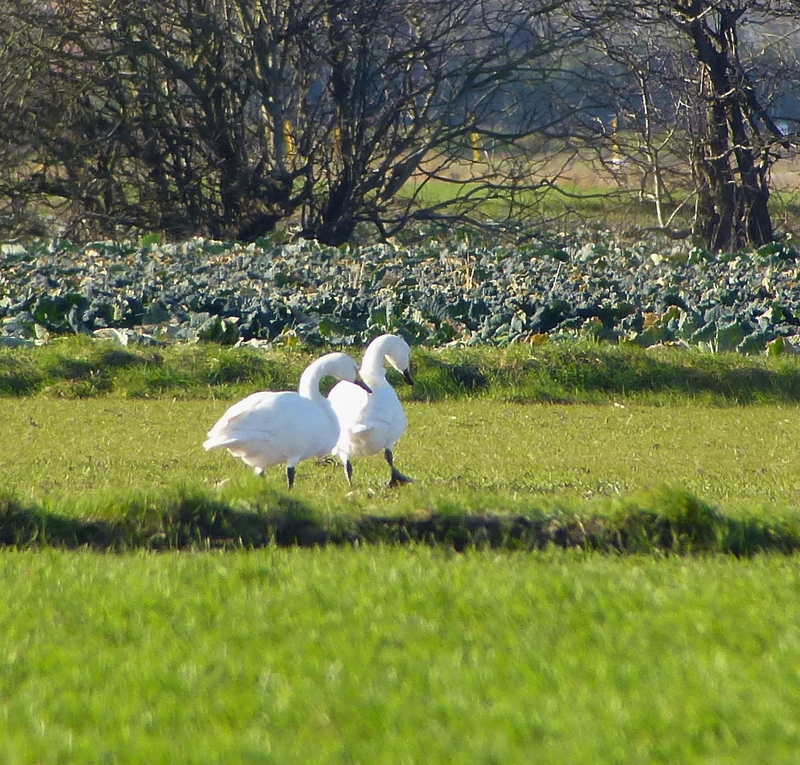 Pushing on we headed towards Hesketh Out Marsh – it started to get really Baltic once past the Crossens roundabout but there were still about 200 Whoopers with at least eight Bewick’s Swans in the roadside fields by the Marsh Farm access track. After admiring them for a few frozen minutes we pushed on to HoM and a bracing walk along the bank. Four Bewick’s Swan with a few Whoopers there too, Tree Sparrows and a Stonechat as well as the wintering wildfowl, but the Greenshank was hard to watch in the strong winds, even when it went to roost poolside at the bottom end.